Kegels often seem like ‘the’ go-to exercise for the pelvic floor, yet many women aren’t sure they’re doing them correctly, how many they need to do, and whether they’re doing any good. After all, I’ve heard from a number of women that they’ve done their duty in the kegel department for a while (sometimes even years) and still have trouble leaking when they sneeze, cough, or run – a sign of continence issues. Or they still have trouble with other pelvic pains or disassociation from their pelvic area. So – What is a kegel? A kegel is a pelvic floor contraction. It’s an engagement of the muscles that support and contain our pelvic organs, running between the sit bones and from inside the pubic bone back to the sacrum and coccyx, or tailbone. Sit up well in your chair and see if you can bring attention to this area now. Take note: I don’t recommend doing this as a frequent or ongoing habit as it can change your bladder’s ability to void completely. Doing it well once, and only a few times per month is more than sufficient…otherwise, relax and let it flow until you’ve allowed the bladder to empty completely. What’s the ‘right way’ to do a kegel? Let’s put down a few key concepts for studying the kegel and pelvic floor: Recruitment and release have equal value, you have to breathe and breathe well, and it helps to reduce the load. If you’re choosing to do kegels, count and see how long you can hold the contraction, spending no more than a slow count of 10 in the active phase. While you’re activating the pelvic floor it’s so important to sustain smooth, natural diaphragmatic breathing and not add tension elsewhere in the body – especially check in with and relax your face, jaw and shoulders. Then, and this is key, allow yourself to fully relax for at least that same amount of time, or even double the amount of time before you go again. Many of us have a pattern called hypertonicity in our pelvic floor, YES, even if we leak, and aggressive kegels without the relaxation phase will likely only make our matters worse. Kegels have more clinical relevance to women truly exhibiting pelvic floor hypotonicity, or an inability to contract properly (aka ‘weakness’), which does happen – but it’s important to fully understand what you’re working with personally. When you do a kegel, you may feel a drawing inward and lifting sensation of these tissues into the body. Doing them sidelying to begin with can give us a fighting chance to recruit properly as we’re able to unload the weight of the rest of the body, decrease interabdominal pressure and relax more while we focus in. 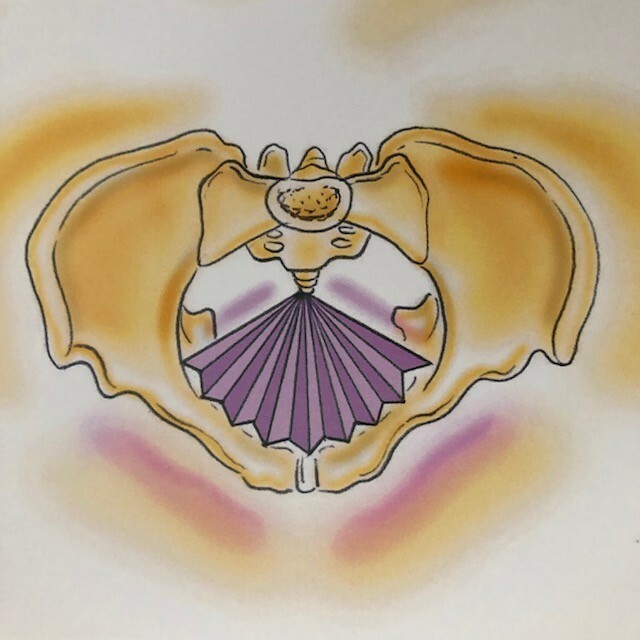 Lastly, research shows us that we can use the exhalation and its ability to engage the pelvic floor through reflexive recoil, and the inhalation causes a different lengthening and widening – feel how your pelvic floor muscles change naturally on inhale and exhale. Carry this subtle ebb and flow into your awareness as you work and relax fully through each repetition – and throughout your normal day to day life. Variability, or the moment to moment adaptations in how much our muscles engage and relate according to the context and current demand of that moment, plays a huge role in our pelvic health. It’s not a black and white strong or weak issue – there’s a full spectrum of engagement that helps us meet the demands of daily life, tasks and exercise loads. If you have specific or significant symptoms, please seek out a Pelvic Floor Health Specialist. Ask your medical provider to refer you to a Women’s Health and Pelvic Floor Specialist, often a physical therapist. Symptoms may include heaviness, pressure or fullness (could be a sign of prolapse), incontinence (leaking), or acute or recurring pain. If you’re newly postpartum, wait until you have your follow up visit and get cleared for exercise. Make sure you avoid high impact (like running), high intensity, or high load (weights or plyometrics) activities until you can confirm your foundational function is back on board – breathing, posture, and general daily activity done comfortably and without pain or leaking – walking is a great (albeit humbling for some of us) place to start. I also typically start many of my women’s health-focused private clients with meditation and guided imagery. And if you’ve been faithfully doing your kegels for months or years and your symptoms haven’t changed or improved, it’s pretty likely you need some help. Remember the definition of insanity? Don’t go it alone and expect different results. Get support! I hope to make it explicitly clear (ready?) that you take it slow, trust your willingness to explore through touch, imagery and breathing and progress gradually. Increasing your awareness and ability to sense what’s happening in your unique pelvis is absolutely crucial to making any change you desire to embody. We can only heal what we can feel. They can be useful in determining a baseline and comparison after doing other exercises or therapy, say, with an internal pelvic floor physical therapist or other qualified bodyworker. We can have parts of our pelvic floor that have checked out and don’t work very well at all, and the neighboring tissues are hypertonic and attempting to taking over. This has been my personal experience in working with my women’s health PT, and in my personal movement and yoga practices. When we can sense our baseline clearly, we can do better with relationship and creating positive change. 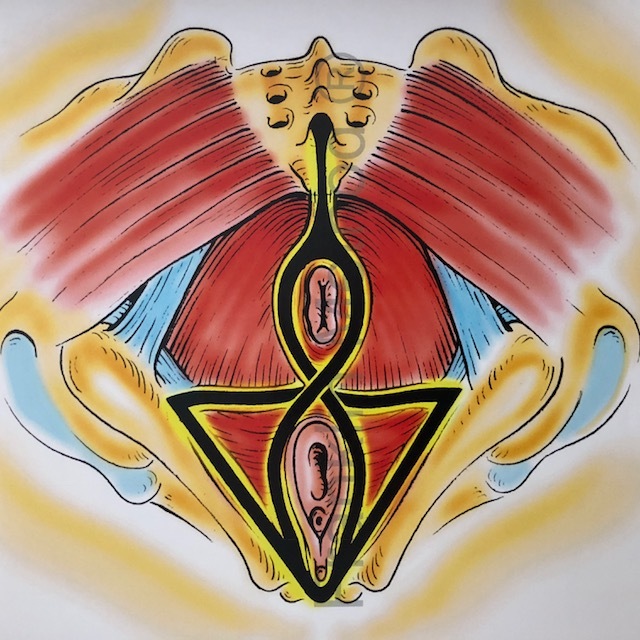 We often get amazing results in the pelvic floor department by working elsewhere in the body, including in the pelvis itself with imagery, touch, movement, and establishing right relationship between parts to coordinate the whole system, whole person. Kegels also won’t do much in regards to changing your recruitment patterns and function – you’ll likely end up practicing the same status quo you’re body has known as ‘normal’ for however long before – and not necessarily establish healthier patterns of how these muscles interact. 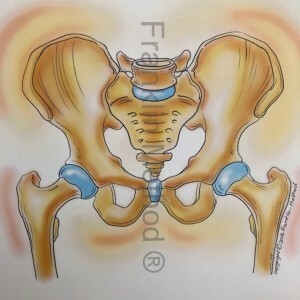 For this level of detail you’ll need to investigate further and, likely, work with a professional to help clarify some of the mystery and nuance to working well in your pelvic space. And because I know if you’ve read this far you’re clearly intrigued, I’m creating a new online program to help you embody some of these fundamentals truths for your posture, breathing and pelvic floor health. It’ll be out in early March! So, if you’re doing kegels as part of your personal practice, please check in with the tips above to see how you’re doing, and let me know in the comments how I can help you.